If your business is like most, you have more paper than you know what to do with, your files are overflowing and too much time is spent tracking down information. R4 Services can bring order to the chaos with its expert record storage and record management Chicago services. When a specific file or entire box is needed, we'll deliver it to your door - quickly, securely and safely. 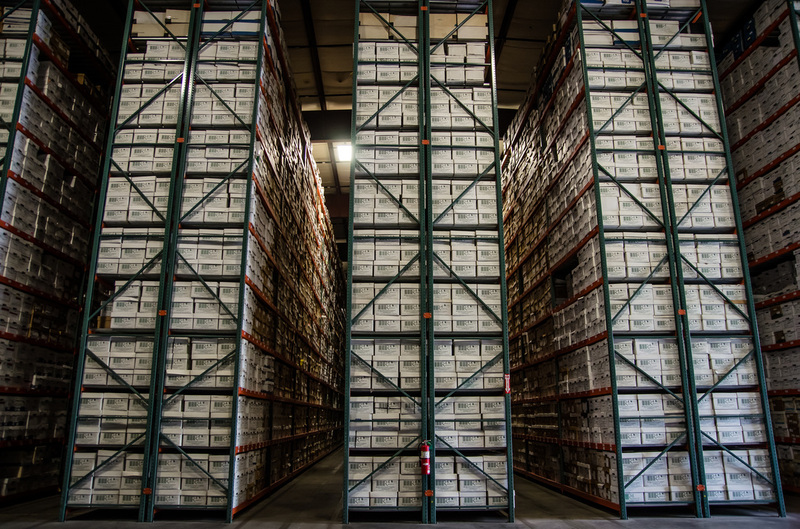 We can also store your electronic media in our state-of-the-art vault. When it's time to destroy information, R4's Destruction Services in Chicago confidentially shreds inactive documents and provides a Certificate of Destruction upon completion. Did you recently upgrade your technology infrastructure? Did you migrate your data, but need a secure way to dispose of the hard drive? R4 Services will ensure your data is destroyed in a secure, compliant, and confidential manner with our hard drive destruction services. 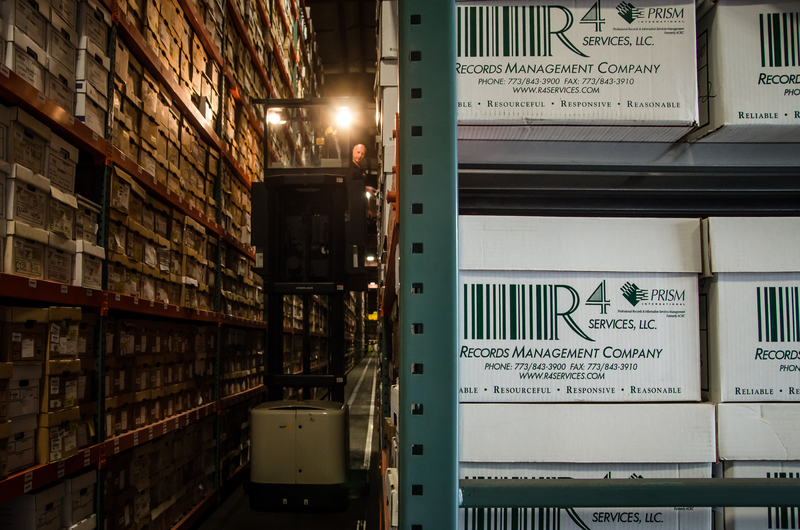 R4 Services assists clients with offsite records storage in Chicago providing fast access, security, and accuracy. R4 Services provides vault services for our clients' critical data in a state of the art media vault. 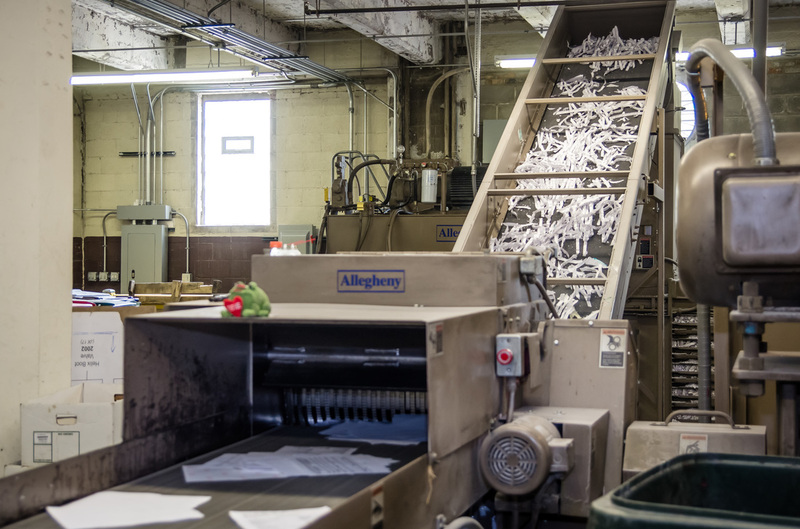 R4 Services assists clients with the effective, secure and confidential management of their paper and non-paper destruction requirements. Say what you do and do what you say." That's how we operate. When R4 Services develops your records management plan, count on us to follow it. When we say rush retrieval and delivery, you can count on it in two hours - set your watch. to employ the latest technology for the most efficient records management. to provide innovative thinking for customized solutions. to control your costs without sacrificing service. R4 Services is available 24 hours a day, 365 days a year. Access to your account information and records is available immediately via the web. Orders for deliveries and pick-ups can be phoned-in, faxed in, emailed or requested via the web as well. Pricing that works within your budget. Flexible programs that meet your needs.